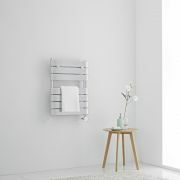 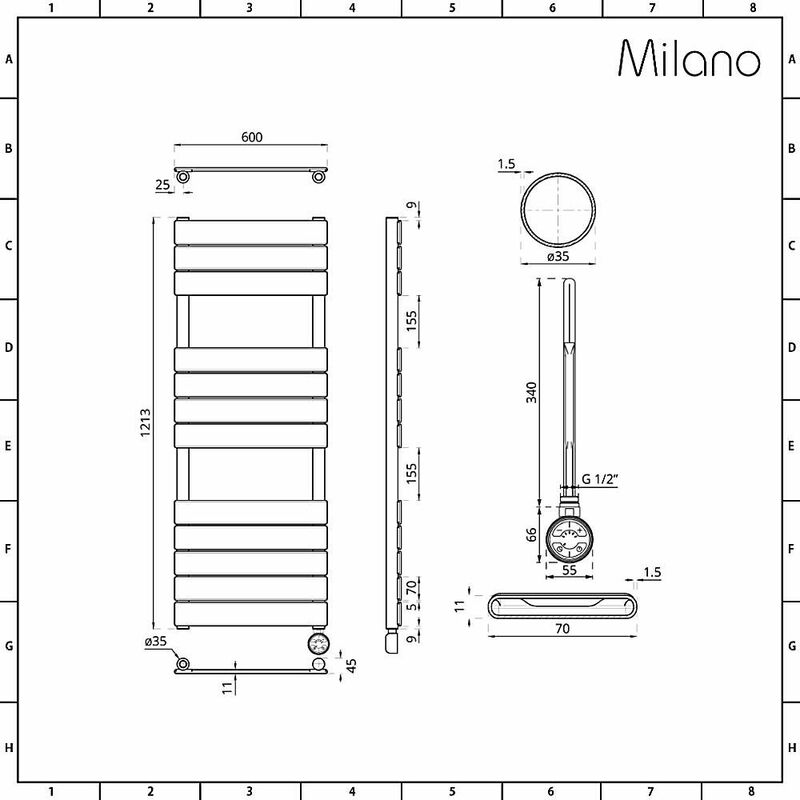 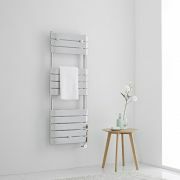 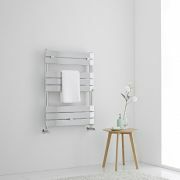 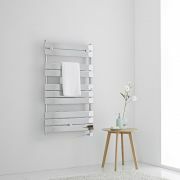 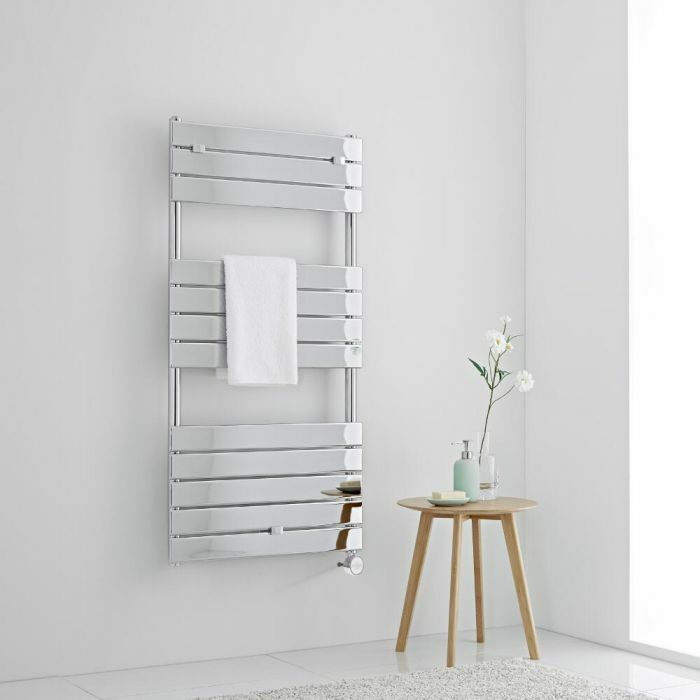 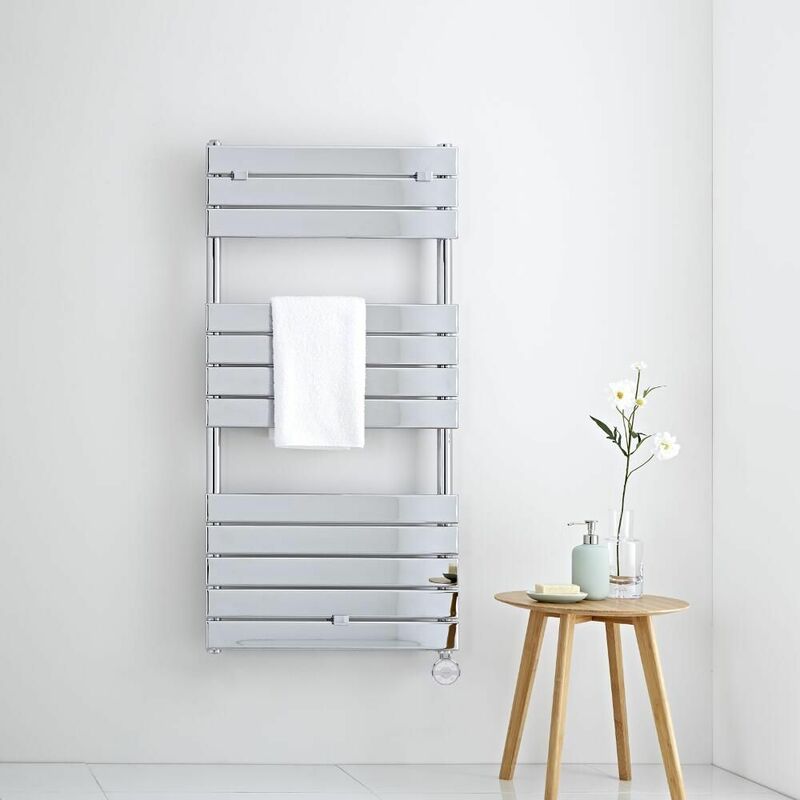 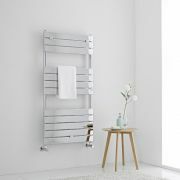 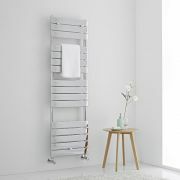 Supplied with a 400W heating element, the Milano Lustro 1213mm x 600mm electric heated towel rail keeps your towels toasty warm without the use of your central heating system. 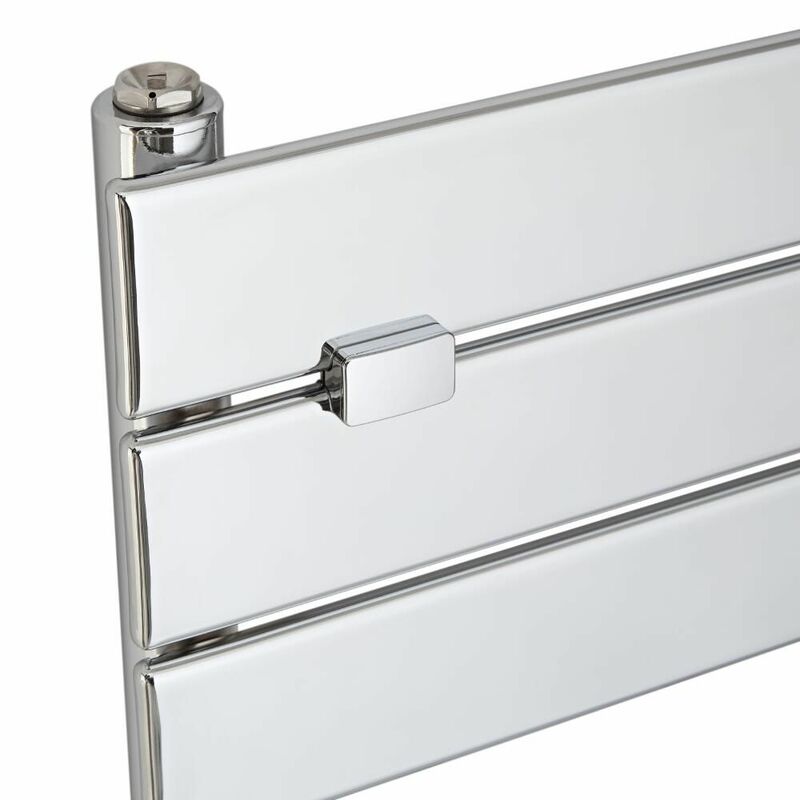 A great option for creating a designer look, this attractive heated towel rail features a chrome finish and sleek flat panels. 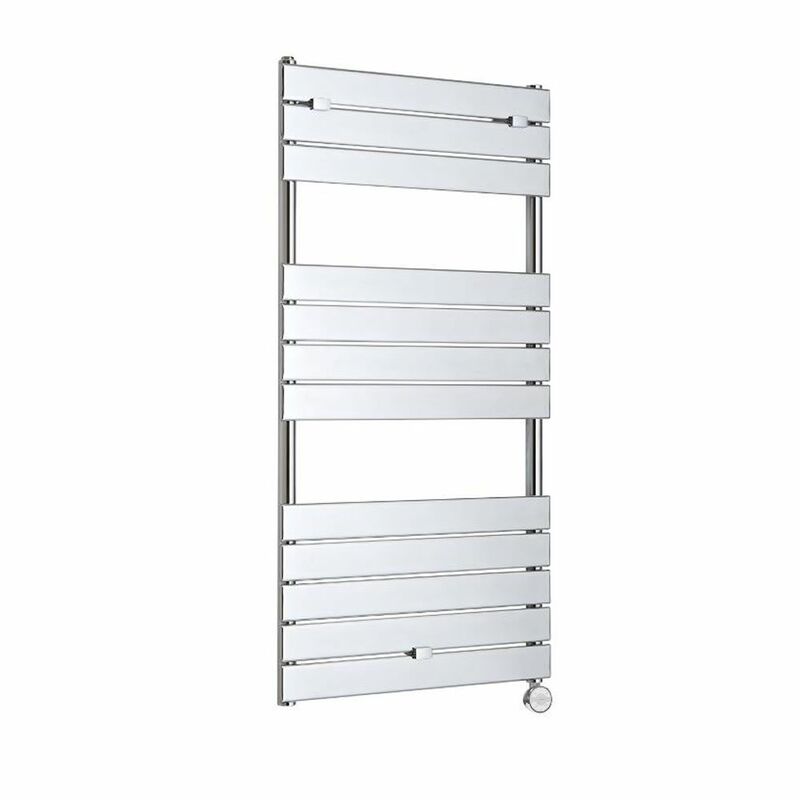 It has been made from premium quality steel to ensure long lasting durability.